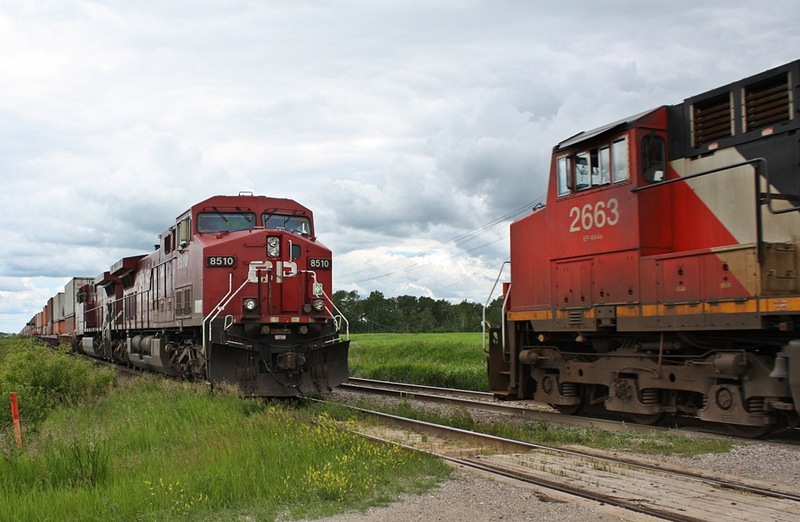 Railpictures.ca - CalMurray Photo: Two companys moving Canada one train at a time. CP 8510 with 116 waits for hot hot CN 111 to roar by. | Railpictures.ca – Canadian Railway Photography – photographie ferroviaire Canadienne. Caption: Two companys moving Canada one train at a time. CP 8510 with 116 waits for hot hot CN 111 to roar by.